Today, we’re serving up a modern furniture style guide that delves into the world of modular sofas. 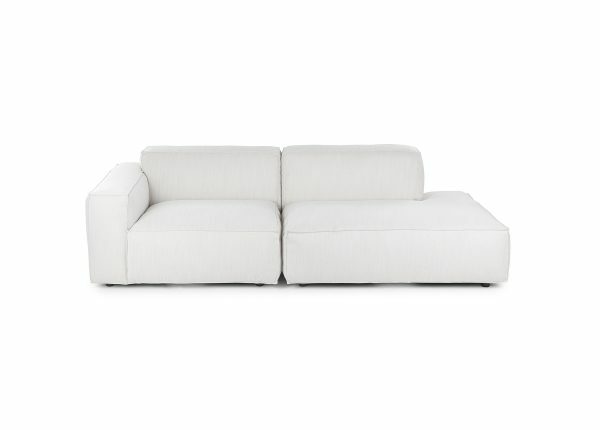 An oft-overlooked living room option, a modular sofa brings variety, flexibility and chic energy to your space. Plus it looks heckin’ fresh. 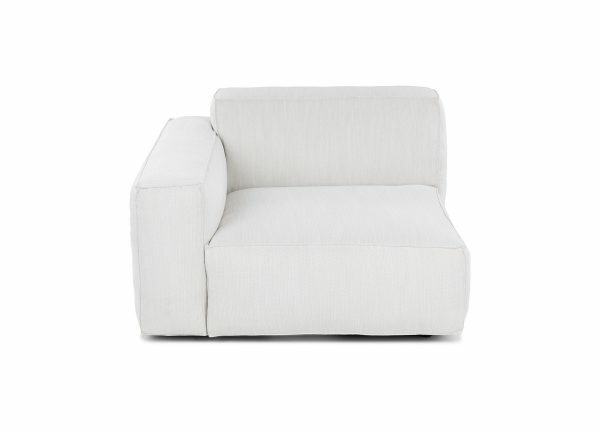 You might be thinking of the modular sofas of yesteryear: saggy, blocky, lame. In 2019, we’re doing modular sofas that are contemporary, versatile, and sturdy. Join us on a journey: a mod mod journey. 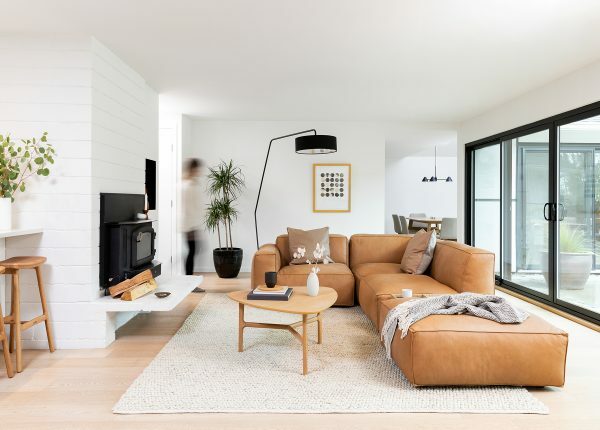 Our Gaba modular sofa looking leisurely and gorgeous over on Design*Sponge. A modular sofa is just a regular sofa with options. Broken into chair-sized pieces, a modular sofa can be arranged to create U shaped or L shaped configurations, or spaced out into multiple small arrangements. They can even stand alone! It’s style Tetris, baby. Get in the game. This brings us to the fun part: customization. Instead of deciding what size and style of sofa or sofa set you’re after and hunting it down, a modular sofa allows you to create your perfect shape and size through a variety of combinations. Each piece is purchased separately, usually from a collection, like the Quadra. You can configure it into a regular couch, or do something a little more unusual. The best part is beyond the initial purchase, you don’t have to commit to a particular style: you can switch it up at will. But wait – isn’t this a sectional? Yes! And no. Both ‘sectional’ and ‘modular’ refer to a sofa that is assembled through two or more connected pieces. 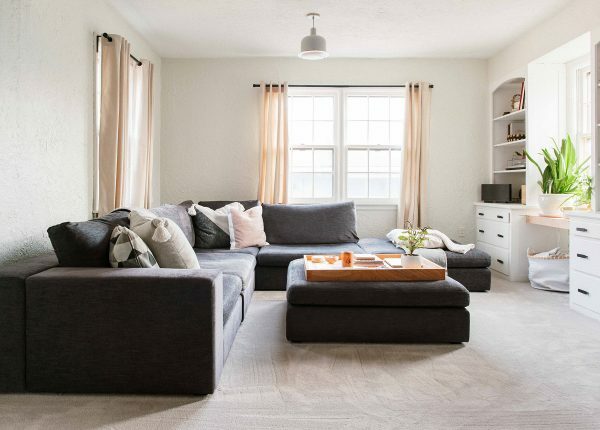 While sectionals tend to refer to an arrangement that is a sofa or love seat combined with a chaise, a modular sofa refers to a sofa line that has a wide variety of pieces. Our Solae collection consists of 74 pieces. The Solae modular sofa, styled and featured in our recent Fresh Modern look book, looks beautiful against the backdrop of our Texa rug in Vanilla. 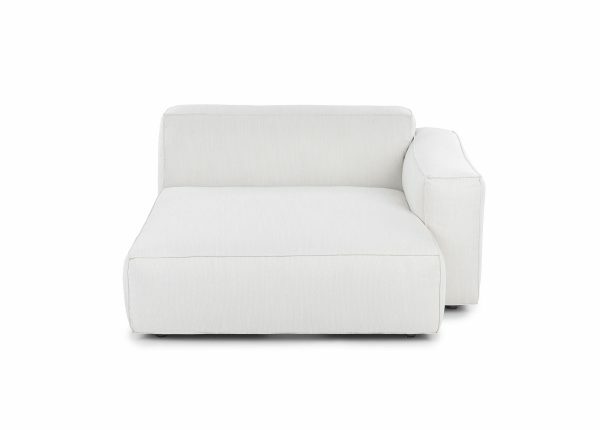 Modular sofas have a low slung, sturdy silhouette that can work to anchor a large space. Just picture the strapping but lady-like Solae Chill White and Light Oak configured as the backbone of spacious room. With deep seating and expansive layouts, modular sofas have the unique ability to create a sense of volume and an intimacy at the same time. 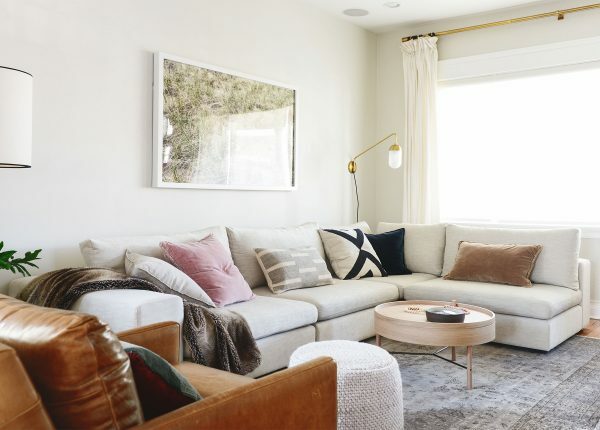 Like the Solae Canyon Tan pieces with a pile of throw pillows (the Lanna Ivory Sheepskin would be a perfect foil to the leather). Providing both a focal point and some seriously irresistible lounge area. 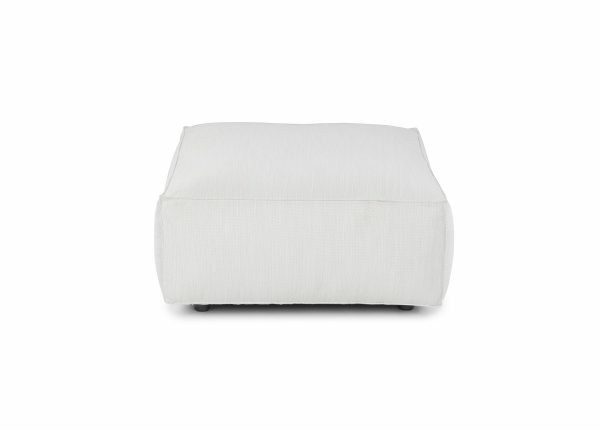 Plush but not overstuffed: nice, right? And this cornerstone of the living room isn’t static—it’s dynamic. With a modular sofa, your look isn’t fixed. They provide endless opportunities to refresh your space. Which brings us to the pieces. When it comes to playing with modular design, you’re only limited by your space and your imagination. As if you need any more convincing. PJs stat! You’re going modular. 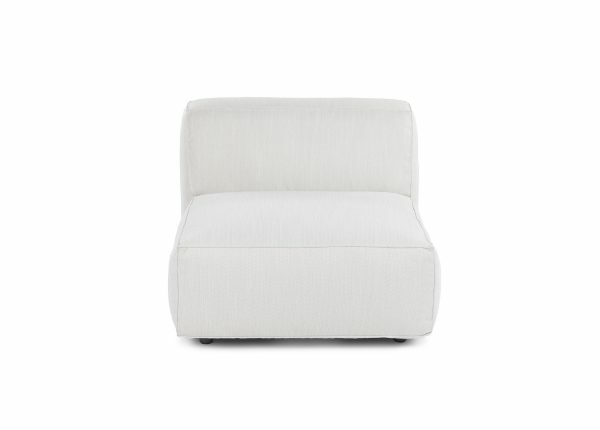 Before you buy, give some thought to your lounge style. Modular sofas pretty much beg to be laid down on. Maybe it’s the deep seating, Maybe it’s the expansive size. Or maybe it has something to do with all that throw pillow real estate. The size of your space and your lifestyle will dictate the layout. A fan of family movie nights and BFF tea parties? 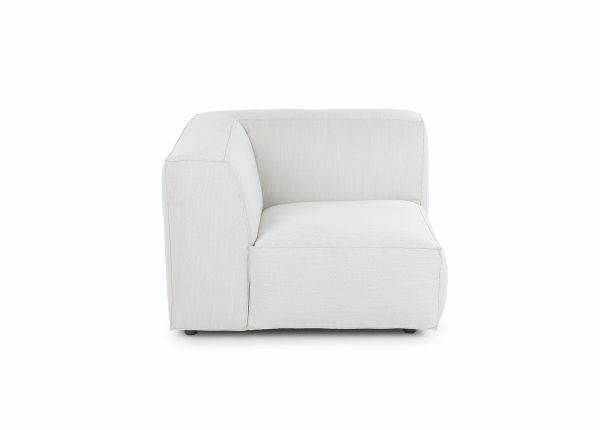 Configure it as one large piece (a U or L) so everyone has the best seat in the house. Prefer sitting straight up with both feet firmly on the floor? Or routinely hosting family and friends that may not feel like flopping down beside you for a lounge? Then it might be a good idea to configure the sections so that there is a way for people to keep their personal space intact. This can be achieved by splitting the pieces apart, like the sofa and chaise facing each other with the ottoman in the middle. Wow, Domestic Imperfection’s room has “elegant nap” written all over it. 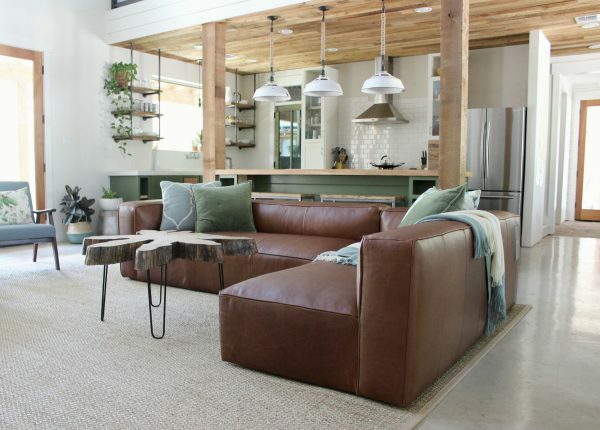 We love the sage green color with our lustrous modular Mello sofa in dark brown. Working with plenty of room? Modular sofas really shine in large spaces, where their generous proportions work to anchor the room. Plop them right into the center and boom: it’s a 21st century conversation pit. Dealing with an awkward layout, or an atypical room (think thin and rectangular). In spaces where a typical couch and loveseat/chair combo won’t fit, a modular solution is the way to go. You can go with a one arm sofa and a one arm chair and either place them side by side, or separate them as the space allows. It may not be the first solution that leaps to mind when mapping out furniture for a small space. But modular pieces really shine when the challenge of a small space arises. Because of their flexibility, you can arrange modular pieces around the outer walls of the room and leave more space to move around. Consider removing extraneous furniture and letting the sofa take center stage for the best use of space. We cover this in more detail in our “Sectional Sofas in Small Spaces” blog post. The YellowBrickHome family cuddles up on our Gaba modular sofa in Pearl. The Longest Piece is the Star. If you’re arranging your pieces, take care to treat the longest, most substantial piece of the set as the focal point. This is the one that that the others should work to support. When you’re setting up the various parts, take care that each piece has visual balance. You may need to add in a side table against an armless piece, or put an ottoman piece in between two facing sections in order to create balance. Whatever the resulting set up, make sure that the grouping looks intentional. 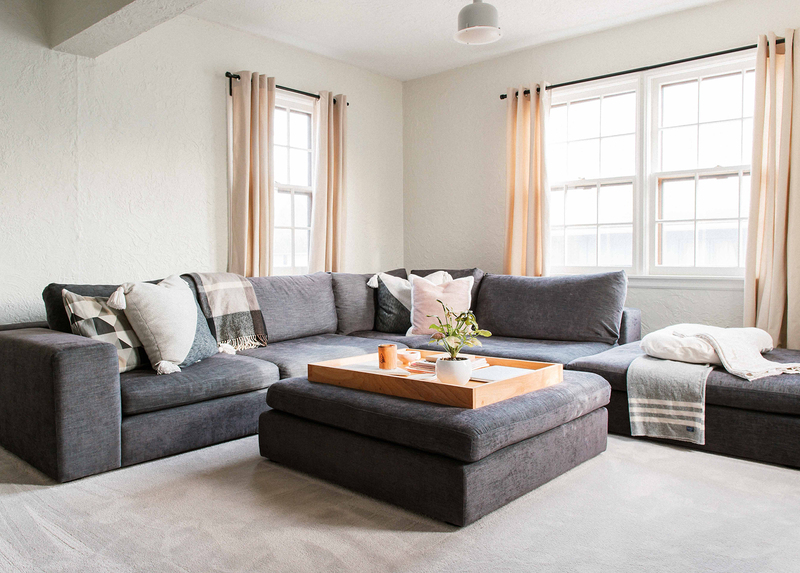 A great way to change up your space is to move a wall hugging modular couch away from the wall and use a carpet or coffee table to tie them together. If you’re looking for living room seating solutions, it’s time to add modular sofas to the list. These highly adaptable pieces are modifiable, flexible and allow your personal creativity to shine. So familiarize yourself with the pieces, measure your space, and get your lounge on.